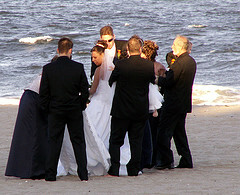 Planning A Cheap Beach Wedding? Surrounded by the people that you love and the natural beauty of the beach that you have chosen as your wedding venue is a perfect start to your marriage. The great thing about getting married on a beach is that it almost has to be informal, shoes are a definite no and at the most a fancy pair of sandals! Brilliant you have already saved yourself some money. Your beach will not need decorating, with balloons and fancy bows, music and entertainment are almost not needed and who has ever heard of guests worrying about what fancy hat to wear to a beach wedding? A beach wedding is perfect because it already is a perfect natural spot. It doesn't matter where your beach is and you don't need to travel miles to the most expensive beach. Think about where you are, what are the beaches nearest to you, they will all have plus points. If you want to add a bit extra here is how to decorate a beach wedding. For the ceremony, informal would be best, if you have guests that have difficulty standing for long periods then check that they have seats (deck-chairs would be great! )but the rest can stand. 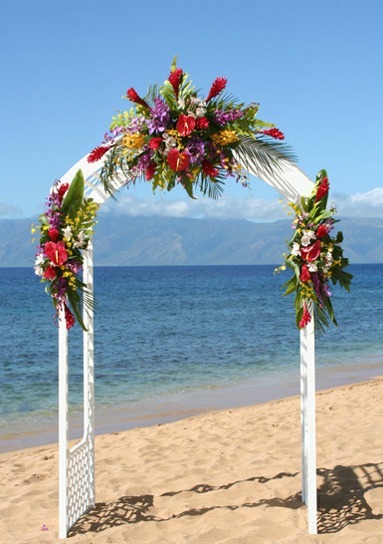 You will probably want an arch or a table for where the ceremony will take place and there are many beach sites that have these already set up. Definitely worth checking the prices on beach side wedding venues as they may be a saving when you add up all of the extras. Make sure you check with the local authorities as to what is allowed on your chosen beach. 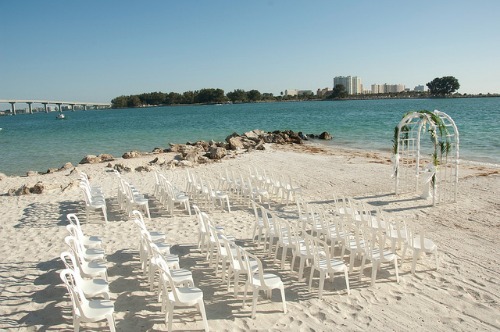 If you have chosen a local officiant they normally will be able to advise you on the best beaches. Beach side wedding reception venues can be expensive, especially when you look at the big hotels and venues that take up prime beach front real estate! So rather than going with the typical venues have a look at cafes, restaurants and bars that have a beach side location but not on a popular beach. 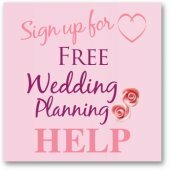 Don't be put off by the fact that they don't advertise weddings, in fact this just might save you a small fortune! If they have the space for your guests or a great big balcony overlooking the beach that would be perfect and they will probably be able to sort out the catering! If they can't do the catering see if they would let you hire the space and bring in a caterer. 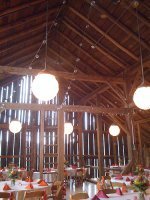 Or think about having a picnic for your reception. Also have a look at villa rentals, a big villa with grounds leading up to the beach rented for a week or weekend could end up being cheaper than a wedding venue. You will also have more control on how things are done. Same goes for any space that is big enough to hold your numbers, I have seen weddings at stunning beach-side locations in studios, art galleries and a small cafe. If you are planning on having your wedding breakfast on the beach then stick with the informal theme, maybe a barbeque or a buffet. Blankets for your guests to sit on and try to arrange shade or shelter with umbrellas or a tent structure would be fun. Check with the local authority that looks after the beach that you are using as there can sometimes be restrictions on what you can and can't do on a beach. You don't want your wedding cut short on the day! 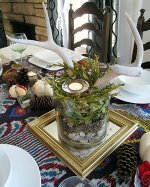 Also for those of you who are having your reception away from the beach you may want to continue the beach theme with themed wedding decorations. A number of couples look at having a destination wedding as a way to have the wedding of their dreams and quite often these are on beautiful sandy beaches. 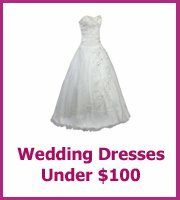 Choosing a wedding package for these is the best way to get all of the deals and none of the stress. Can you imagine what it would be like to co-ordinate a wedding hundreds of miles away? It is a good idea to book your wedding package at least 6 months in advance so that you get all of the best deals and the dates that you want.